Pine Bluff off Highway 65 South and north of U.S. Highway 425. Pine Bluff’s first airfield, Toney Field, obsolete, meaning a new airfield was required. Construction began in late November of that year with a combination of $200,000 in municipal bond money and a $107,320 grant from President Franklin D. Roosevelt’s Depression-era Works Progress Administration (WPA). 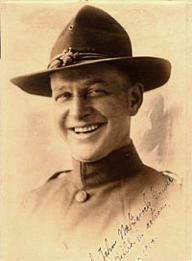 Pine Bluff community leader, Felix G. Smart, who was a pilot and member of the National Aeronauticial Association, utilized his connections to make the U.S. Army Air Corps aware of the planned airfield. Brigadier General Gerald C. Brant, commanding officer of the Army Air Corps training facility at Randolph Field, TX, arrived with a small staff to inspect the site for a new military Army Air Corps training facility and gave his approval. fleet consisted of six Fairchild PT-19 single prop, two-seated aircraft. 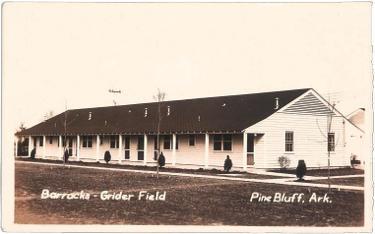 On March 22, 1941, under control of the United States Army Air Corps, Grider Field received its first class of fifty cadets scheduled for ten weeks of flight instruction. The field was formally dedicated on May 24, 1941. The training school at the airfield increased its fleet to 275 aircraft, admitted around 12,000 pilot trainees, and graduated approximately 9,000 pilots during its only three-and-a-half years of operation. Essential Civilian Asset After the end of World War II, the airfield was returned to the City of Pine Bluff by the Civilian Aeronautics Authority (CAA) in 1947 and the city operated the airfield until 1957, when the Pine Bluff Aviation Commission was established to manage and maintain the airfield as a general aviation airport for southeast Arkansas. Today, Grider Field is home to a terminal, restaurant, a fledgling aviation museum, a Federal Aviation Administration (FAA) weather monitoring station, private corporate jet hangars, fire station, and T-hangars. The airport is a department of the City of Pine Bluff, and airport funding is derived from fuel sales, user leases, and general appropriations from the city. 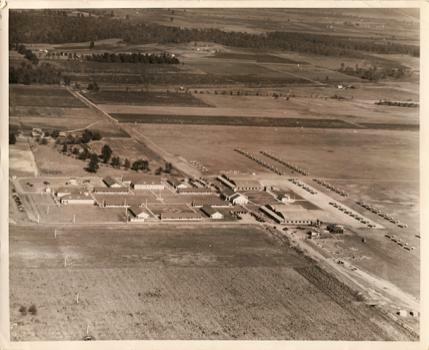 Aerial view of Grider Field, circa 1941. Preserving the Story Only one of the aviation school’s original barracks remains. It is being painstakingly restored to its World War II-era condition using historic records, oral history and authentic materials. When restoration is complete, the structure will become a museum that houses a burgeoning collection of aviation artifacts and memorabilia. Much of the collection is currently showcased in various locations throughout the terminal building.